A significant increase in Halal digital economy initiatives into the Muslim travel market has resulted in massive changes in the online world, with Muslim millennial travelers as a primary driving force. The latest report from CrescentRating – the Halal Travel Frontier 2018, features this year’s key travel trends in the Muslim travel market, where the tipping point in online transition will be one of the top trends. These digital changes and development in the online world in 2018 will contribute to the progression of more a potent Muslim travel ecosystem. Muslim friendly tourism is set to make a deeper impression on the travel industry through a more prominent online presence in 2018. There is no doubt that Muslim millennial travelers play a vital role in expanding the global economic impact of Muslim tourism, and this particular market niche continues to change in this digital age with rapid progress. 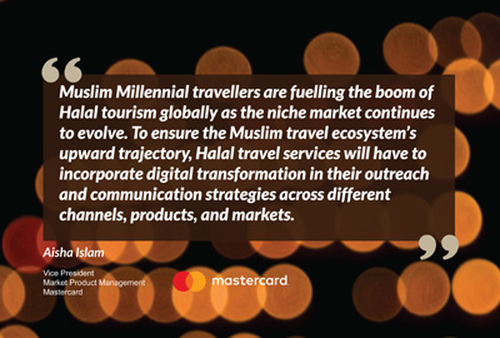 In order to keep up with new developments and the Muslim millennial travel sector that is constantly evolving, Halal travel services will need to digitally adapt to these changes in terms of communication and outreach. In 2018, Muslim millennial travelers will contribute to the evolution of Halal travel services by a creating a demand for more rewarding travel experiences when considering Muslim friendly tourism. Halal travel services are set to progress forward in the digital world by aiming to attract new markets and offer different ranges of services to make travel more accessible and convenient. This major shift in the digital world will create better travel solutions for Muslim travelers such as affordable travel bookings and genuine recommendations or reviews when it comes to Muslim friendly tourism. This can also range from the most innovative global Muslim apps to more thoughtfully designed Halal-friendly online travel packages. The potential for development will be highlighted, where the Halal travel industry will note the increase and advancement of more Halal-friendly online travel services. Digital changes will also transform Muslim friendly tourism making Halal travel services more accessible with an improved online presence. 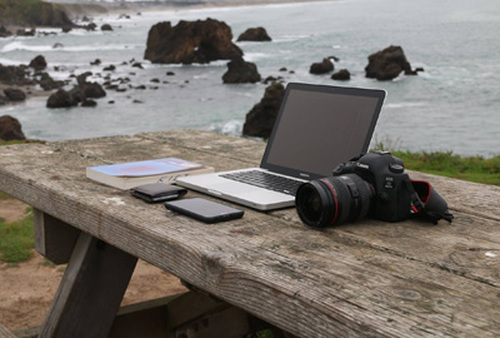 Additionally, with emerging Halal digital economy initiatives and the development in online travel services, travel agents who operate offline and employ traditional travel services for the Muslim family segment will be strongly affected too,. This digital evolution will also make a significant impact on businesses that are involved in the travel sector. Digital inbound marketing will be brought to the spotlight with businesses being encouraged to change their strategies through different communication and outreach methods. When it comes to travel and faith, Muslim travelers who are well aware of new developments in the digital world will contribute to “social listening”, which will undoubtedly play a prominent role with this major transition in Muslim friendly tourism. “Social listening” will be brought to the forefront by Muslim travelers who share their experiences or stories through digital connections or platforms – which has already increased their presence in the digital world. Muslim travelers will continue to strengthen their digital presence which will result in the boundaries of the travel industry being pushed towards positive changes where their travel needs as Muslims will be recognised.